In a social media landscape dominated by Facebook and flanked by Twitter, Snapchat emerged on the scene in 2011 with critics insisting it would be exclusively used by pervs and creeps. The temporary message model was unheard of at the time and even the most innovative entrepreneurs couldn’t have foreseen the marketing impact this app would eventually have on the world. Now, brands across the world are creating stories, memories, and snaps to lure in potential customers on this little yellow app. With the increased popularity and simplicity of use, marketers have started asking: what’s the best way to use Snapchat? 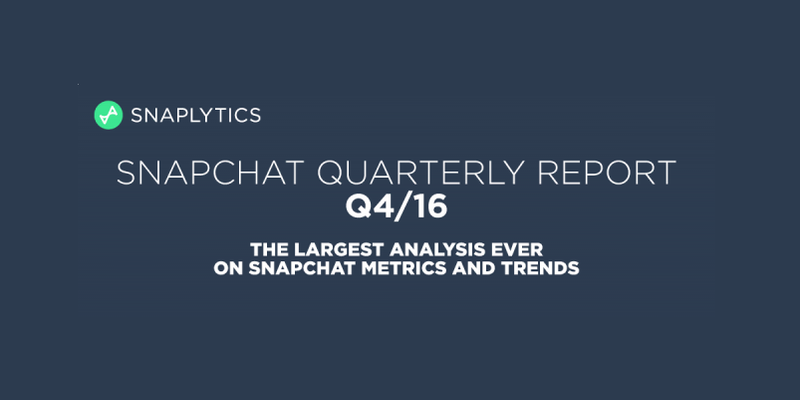 Fortunately, Snaplytics, an SaaS company offering Snapchat marketing insights, has created the most comprehensive report of Snapchat data the world has ever seen, and marketers are drooling for obvious reasons. The report contained a number of interesting takeaways for marketers, including the fact that most brands post twice a day, and completion rates (the number of people viewing the whole story) have continued to climb over recent years. The report also indicated that the power of Snapchat to sway potential customers is much higher than that of Twitter and Facebook, making the importance of innovative techniques all the more important. “It is essential for marketers to be creative and build followers quickly since our research shows that recommendations and calls-to-action made through Snapchat are much stronger than what is accomplished with Facebook or Instagram,” said Cilius. Perhaps the most interesting statistic found in the report, however, is that 61 percent of the content posted by brands on Snapchat are videos, a 5 percent increase from the first quarter of 2016. While this trend is in line with marketing trends around the world, the speed at which brands are adopting video as their primary means of reaching out to customers is a significant indicator of the future of marketing on the popular app and beyond. If you’re interested in learning more about Snapchat’s marketing implications, take a look at this handy infographic, put together by Snaplytics.